To dream big is indeed one of the most fundamental ways to generate great ideas — ideas to solve problems. It has always been part of our dream to make history in our community by bringing industry leaders from different part of the world to enlighten our youths on the importance of technology. 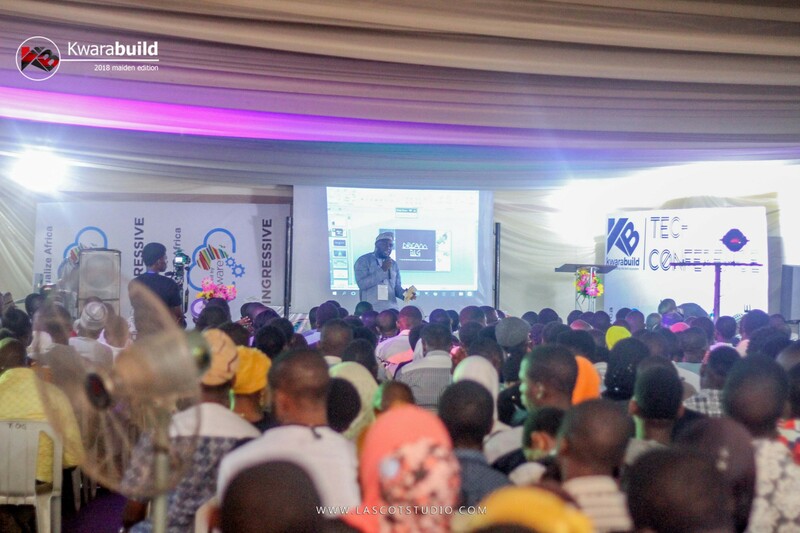 October 1st, 2018 in Ilorin city was an unforgettable memory, for a 1310 total number of participants who registered for kwarabuild Tech Conference 2018. It was a day to remember and a dream come true as we achieve our long time aim. 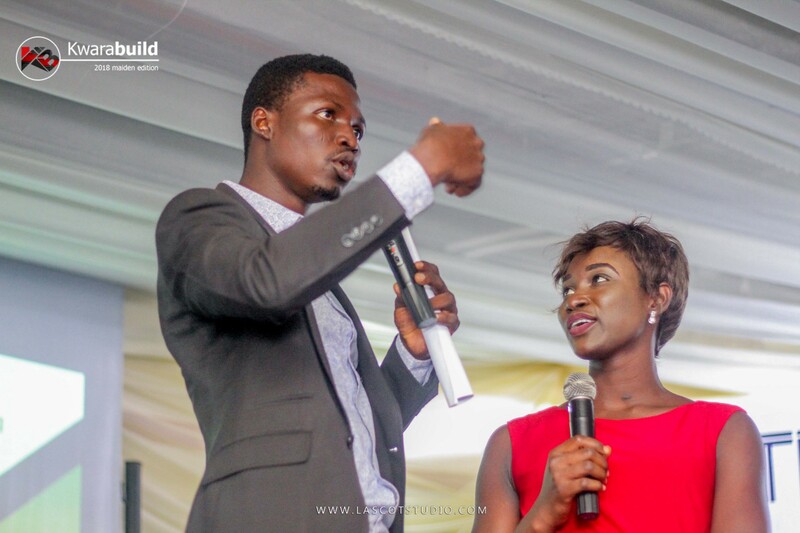 When we began plans more than 3 months ago to host the event under a very low budget with support from Virtualize Africa and Ingressive, we didn’t know we will have to re-plan the whole event under 30 minutes on event day. It was a very challenging moment for us. After cleaning the hall and setting up our equipment overnight to create a better experience for all our attendees. we left the hall around 1:00am on Monday to take some rest. On getting there the next morning we were told that the government wants to use the hall and we have to vacate with immediate effect. How do we tell over 1300 people that registered that the event isn’t holding again? How do we eat the food that is being prepared for them? How do we tell the speakers that came from all over the world? Guess what we did! We enter build mode. There is energy in coming together. You achieve big dreams together. We only have the vision of making a positive impact towards developing our ecosystem. We came up with funds for a new hall (among ourselves), arranged the hall, arranged for buses to convey people from the former place to the new place, rented some chairs since the hall was only primed for about 400 people or so, even created a hall extension and we still managed to host 1096 people. We couldn’t have made it without the support of our amazing attendees who turned up in masses despite our sudden change of plan. Thank you for being part of our dream. Mr Nasir Abdulquadri, CEO D-positive Image Consult opened the stage by speaking about youth thinking differently to create a better future. He talks about the mindset to change the current state of our economy, he also encouraged youth to push themselves towards achieving success. 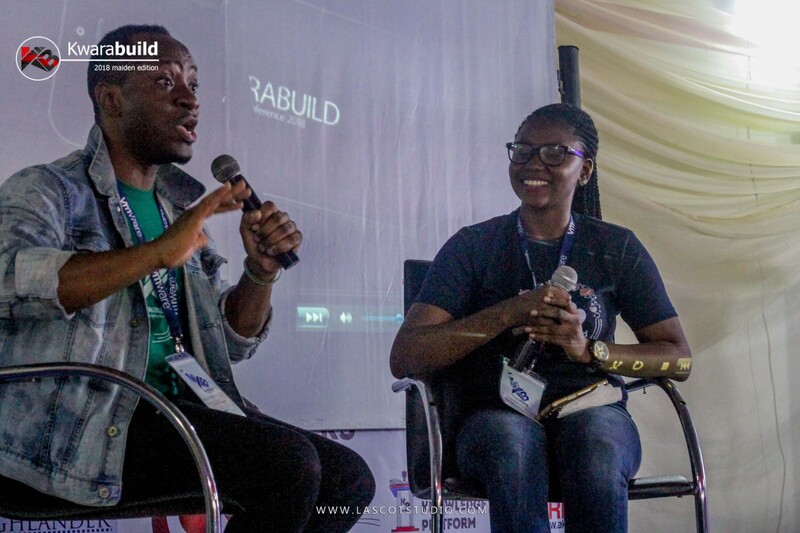 Founder of two socially impactful organizations, Re:LIFE and Startup52, Chike Ukaegbu shared his experience on Startup52 at the kwarabuild tech conference 2018. Startup52 is the first diversity focused tech accelerator in New York City, built in response to the need to support the dreams and aspirations built by Re:LIFE. Startup52 has since also expanded to nurturing tech startups launched by founders from disadvantaged backgrounds including women and POC. Chike is among the candidate in the upcoming race for the Nigerian presidency, being the youngest contestant. We are glad to have him in our midst. 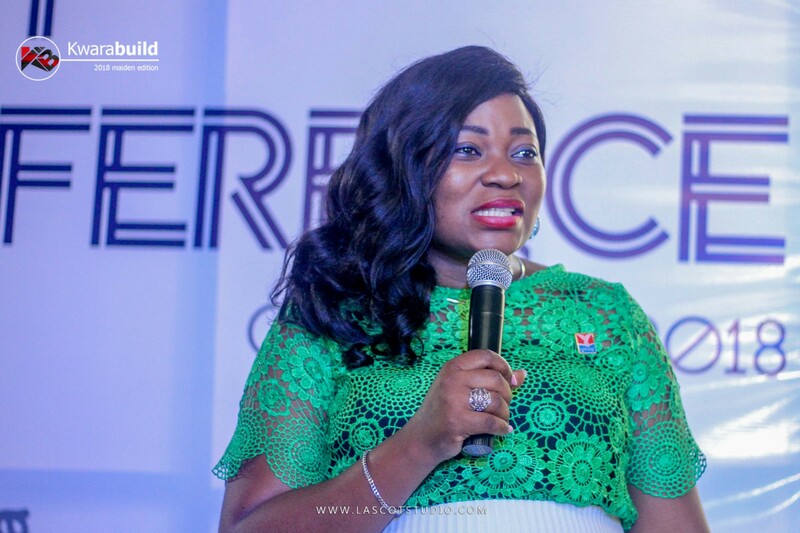 The roles of women in tech cannot be overlook in this world if we want a total economic change. What a man can do, a women can do best, women are contributing more to the technology. 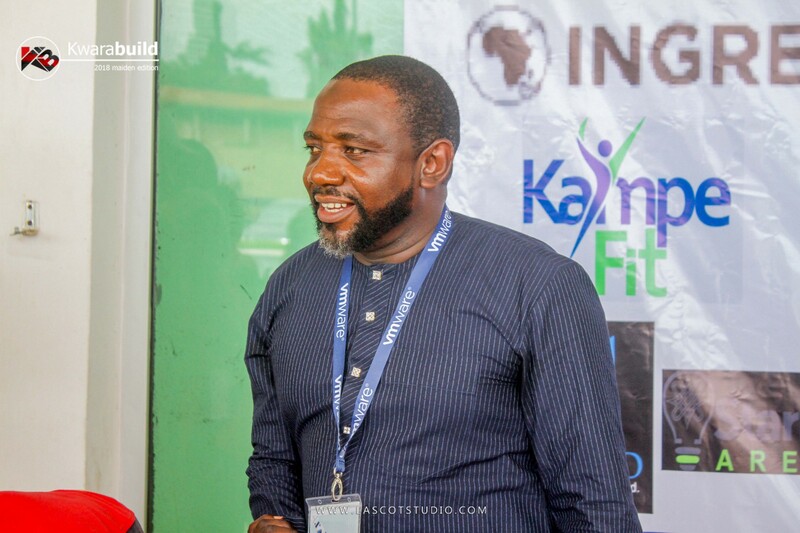 Deji Akomolafe, a Staff Solutions Architect at VMware gives ingredient on the Virtualization and Cloud Computing, he emphasized on the importance of Virtualization as a key to success for the next century. He also explained Virtualization as the process of: Creating a software-based, or virtual, representation of something; Virtual applications, Servers, Desktop, Storage Networks. It was very engaging and full of practical. View @dejify slides here. 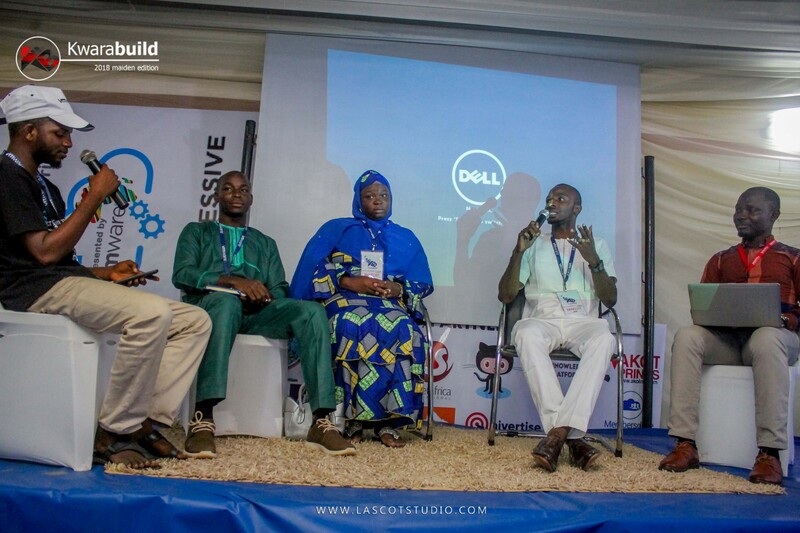 Next is an amazing panel discussion on Operating in the digital world economy with Ridwan Rasheed (COO at Epower), Hamdalah Hanafi (Founder of HIVERTISE), Ayoola Falola (Founder of PageCarton), and Adeyinka Adegbenro (CEO, SocketAfrica International). 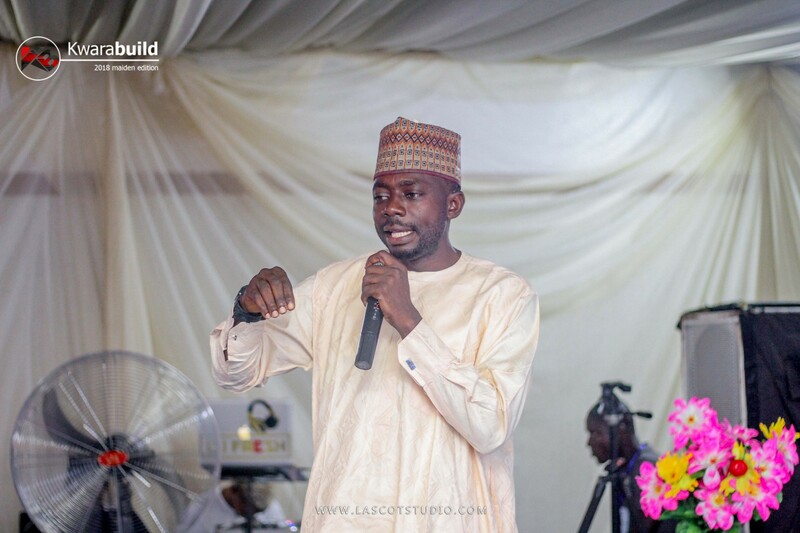 Next the CEO Iqra Books, Bolaji Abdulllateef took to the stage and gave full insight of what startup is all about “A moment of inspiration for all”. He spoke more on how to identify a startup business. View slides here. 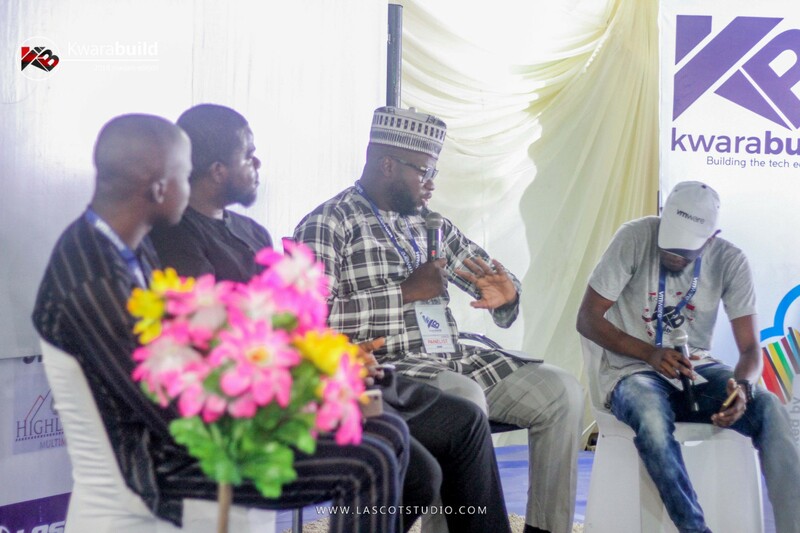 It was a very interactive session on building an african tech ecosystem with Esinniobiwa Quareeb (Cofounder CodesquadLLC), Adeyinka Adekeye (CEO Founders Hub) and Lawal Ọlọhungbebe (Director for Community Development KWAS). Next session is with Olushola Oguniyi, Cofounder Probity Software. He spoke on understanding customer needs and wants as a key tools in achieving success. it was very interactive and well engaging. Matthew Adeniyi spoke on Membersdive, to download the slides of his presentation click here. 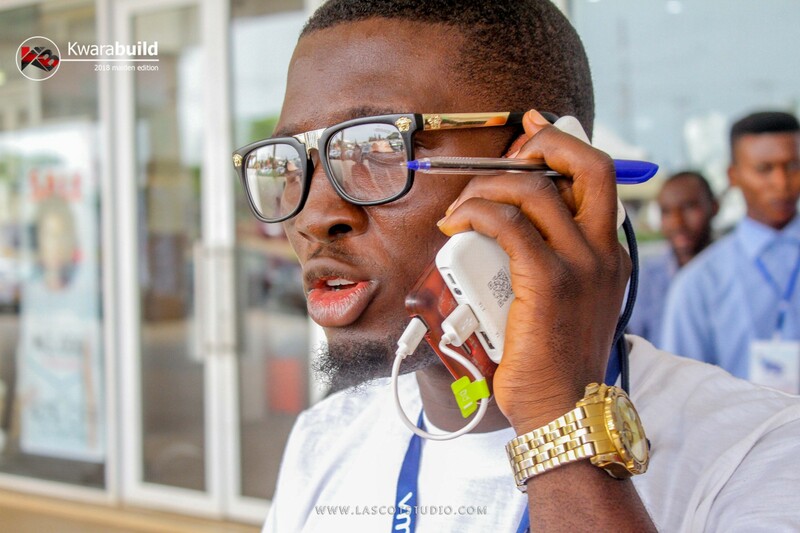 Jamiu Abdullateef spoke on Tour Kwara, to download the slides of his presentation click here. 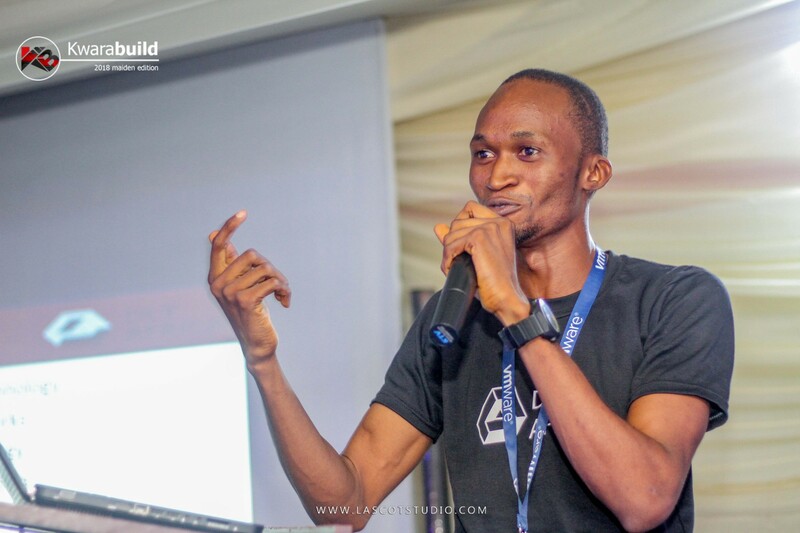 Akinjobi Sodiq spoke on new trend in tech, to download the slides of his presentation click here. 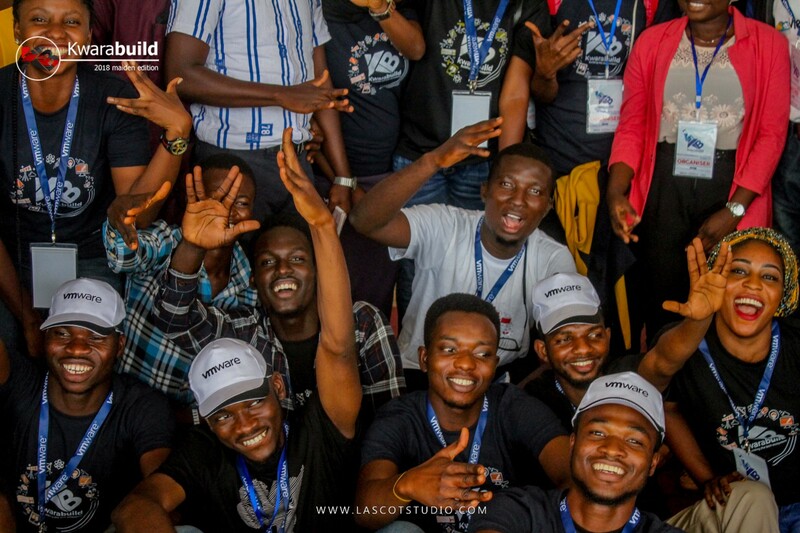 And it was a wrap, we were so overwhelmed with the total number of attendees and the turnout of volunteers, we were able to convince and develop the instinct of having strong believe and determination in achieving success. #Kwarabuidconf: Family Photo after the event. 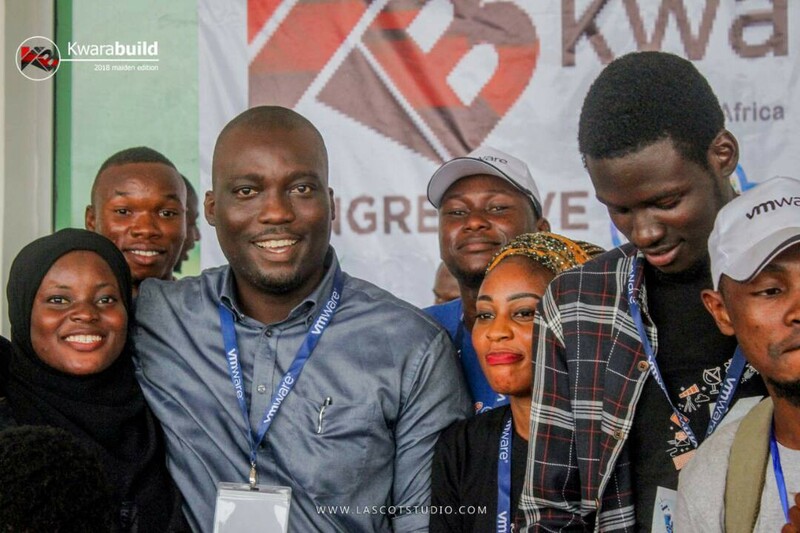 Pictures from the event have been uploaded to kwarabuild, view the full album on Google Photos. 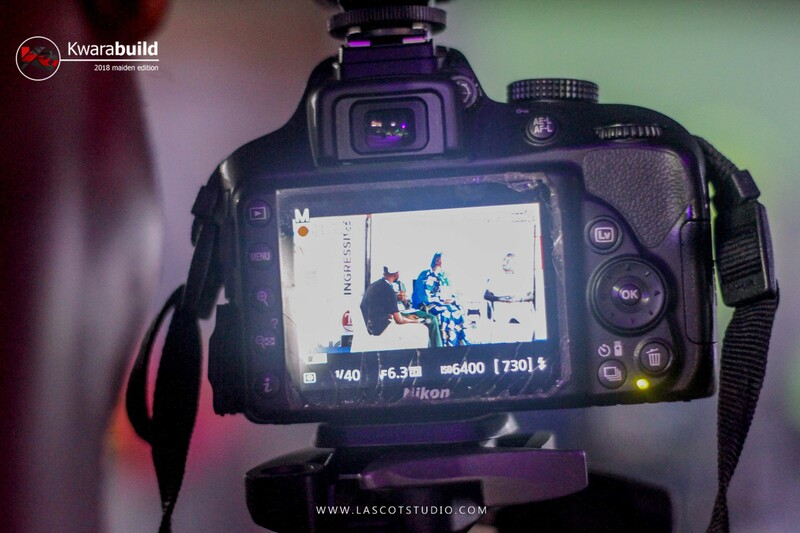 A dream achieved by all is a worthy contribution of everyone, we appreciate every hands that has contributed to the success of this event, our amazing team, volunteers, mentors, speakers and philanthropists. We say a big THANK YOU! 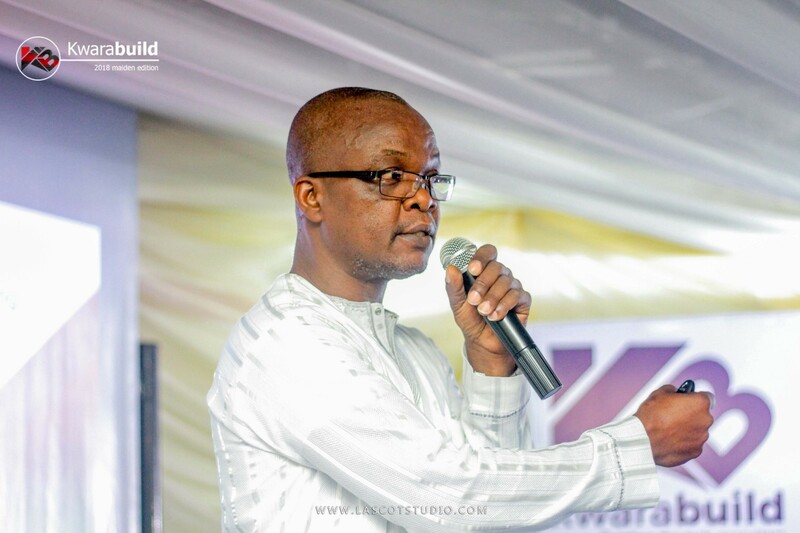 Special thanks to Olani Olambimpe, Chairman National Library (Kwara Chapter).